The burgeoning field of 3D printing offers endless possibilities for designers, artists and engineers alike. Although the full depth of its potential remains unplumbed, some cutting-edge designers have started experimenting with 3D printers in truly extraordinary ways. 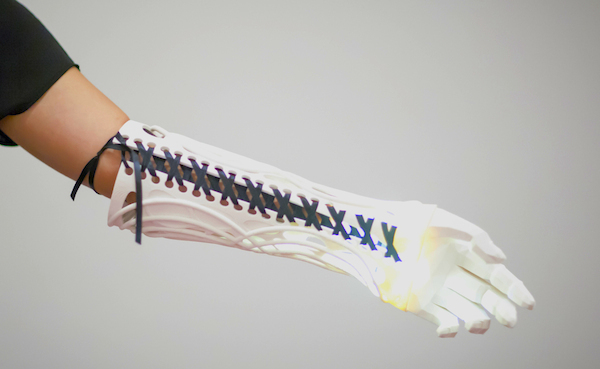 In this spirit of innovation, student designer and architect Evan Kuester created two gorgeous 3D printed prosthetic arms for fellow student Ivania Castillo, who was born without her left hand.